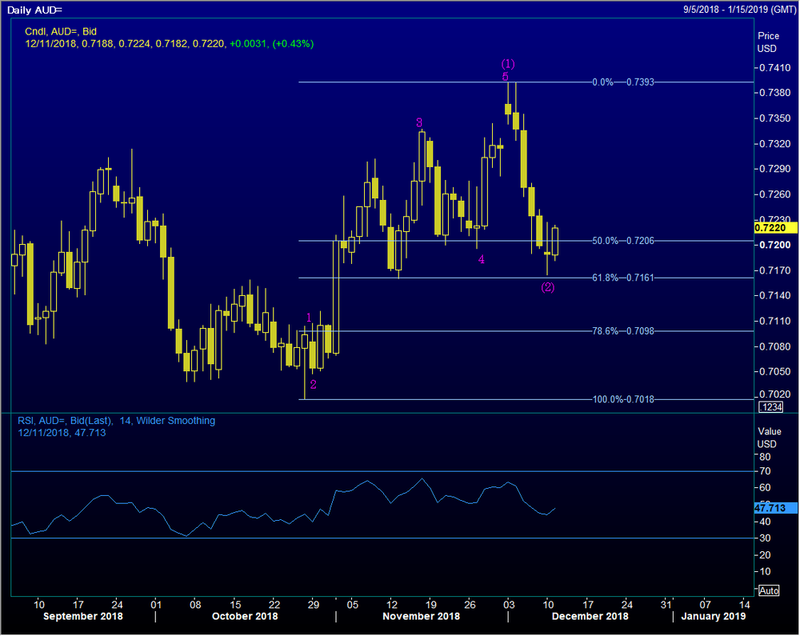 Yesterday’s daily swing low in Aussie was just above a 61.8% retracement target—0.7161 (the low was 0.7165). A nice rally in play today so far and President Trump has taken to Twitter to let us know some good news may soon becoming on the US-China trade front. If so, it seems Aussie would be a prime beneficiary. We are entering long on a stop; letting Mr. Market take us into the trade. Older PostUSD/JPY 15-min view...completed minor C-Wave?